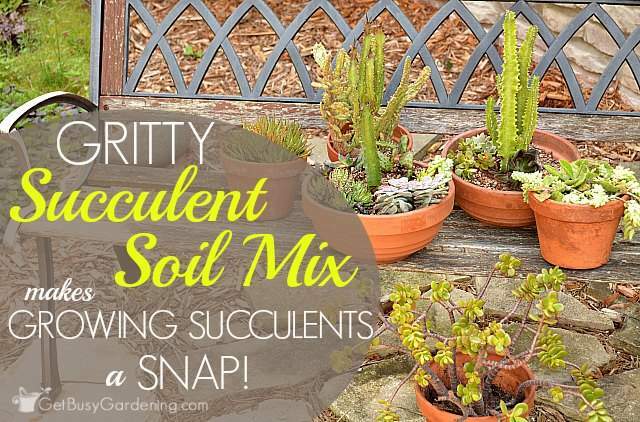 Home / Gardening Care / Gardening Soil / Gritty Succulent Soil Mix Makes Growing Succulents A Snap! People are always asking me about what type of soil they should use for their succulent containers. 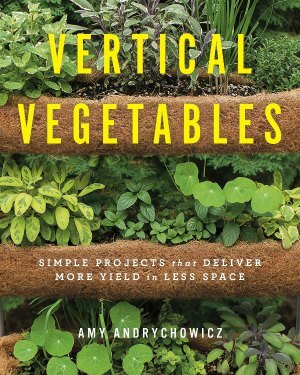 As you probably already know, succulents prefer a well draining soil to grow their best. The #1 cause of succulent death is overwatering, which is a huge problem if you use the wrong type of soil. 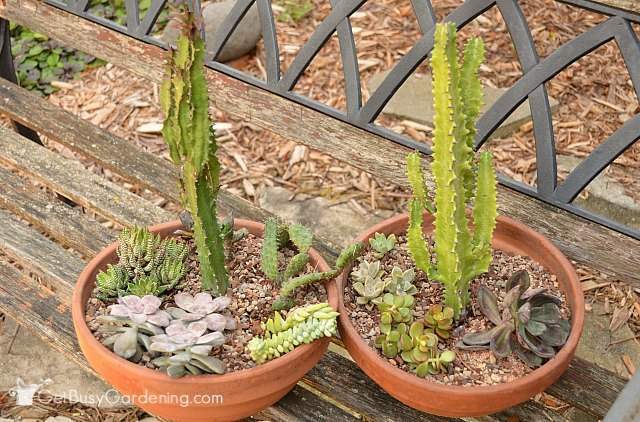 So to avoid overwatering, it’s best to use a gritty succulent soil mix for growing your succulents and cactus plants. Succulents are my favorite types of plants, and I have a lot of them. I love playing with them, and I’m always busy repotting them, creating succulent gardens, and propagating the heck out of them. It’s so much fun. 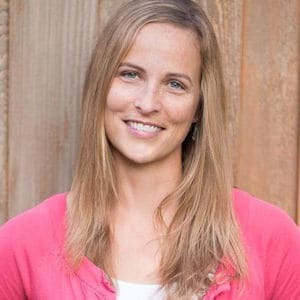 I also love experimenting when it comes to growing plants and gardening! I’m always trying new products, recipes, plants, projects… you name it! 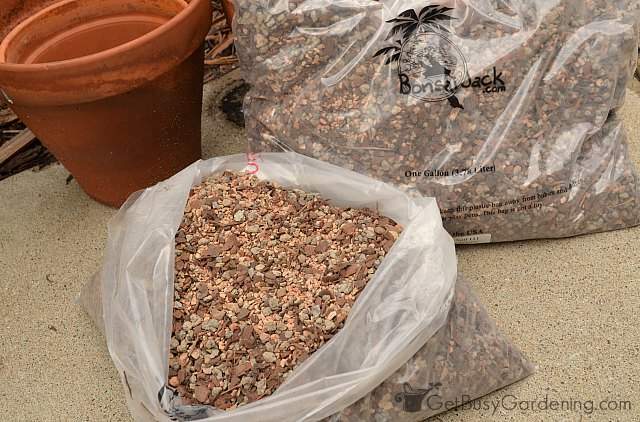 (And it’s so awesome that I get to share my experiences with you too) So when Bonsai Jack contacted me earlier this summer and asked me to put their gritty succulent soil mix to the test, I said “heck yes!”. When it comes to growing plants (especially cacti and succulents), the type of soil you use is super important. I mean, you can buy potting soil just about anywhere these days, right? Well sure, but be careful… all potting soils are NOT created equal. 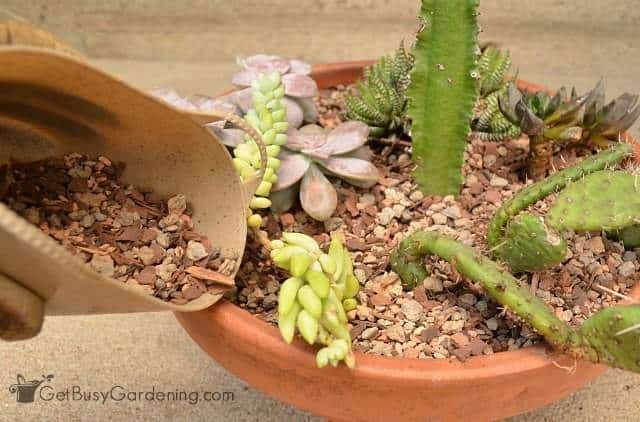 There are lots of different types of potting soils on the market, and some even say they are specifically made for growing succulents. But I find that many types of succulent soils on the market aren’t gritty enough to drain quickly, and therefore hold too much water (which means it’s very easy to overwater!). 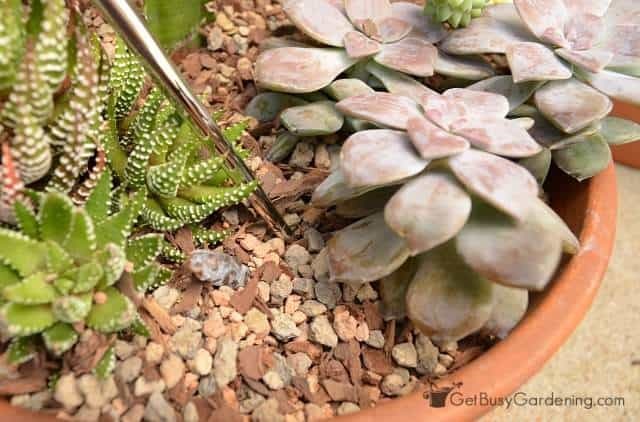 Using a super gritty succulent soil mix to pot up your succulents and cactus plants will make overwatering almost impossible (especially if you grow your succulents in a clay pot). A well draining soil mix will prevent root rot that can quickly be caused by heavy soil blends. A gritty succulent soil mix really does make growing succulents a snap. Another awesome thing I love about using gritty soil is that fungus gnats won’t breed in there! When you have a large collection of plants like I do, soil gnats can become a huge problem! But since soil gnats need moist soil to live and breed, they can’t survive in a fast draining gritty soil mix. Earlier this summer, Bonsai Jack sent me a few bags of their gritty succulent soil mix to try, and the timing could not have been more perfect! I had just started propagating a bunch of succulent cuttings for a few new container gardens I planned to make this summer that same week, so I was able to put their succulent soil mix to the test right away. I used the soil to create two shiny new succulent container gardens with the cuttings and extra plants I had (they turned out super cute BTW!). I’m really excited to see how well my succulents grow in this new potting soil. I also can’t wait to see the difference this gritty soil makes in caring for my succulents through the long winter months! And for all of you DIYers out there, Bonsai Jack also sent me all the ingredients I need to make my own gritty succulent soil mix. Which means I can do some more experimenting!! Yippie! 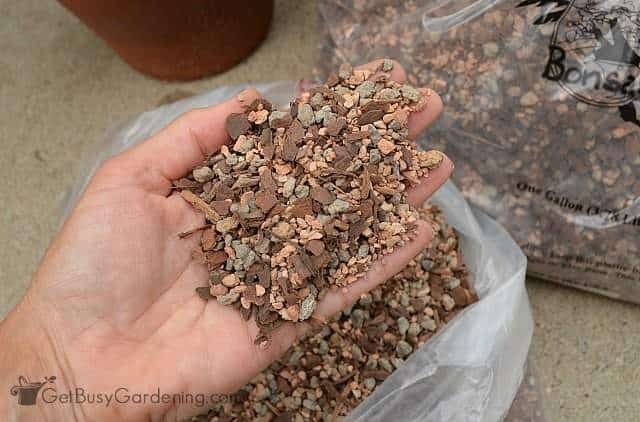 For starters, all you have to do is mix together equal parts of the pine bark, Bonsai block and turface – and blamo, you just made your own gritty succulent soil (see, I told you it was easy)! Then you can play around with the mixture, and maybe try other ingredients like pumice to see if you like that better than the turface. My first impressions of Bonsai Jack’s gritty succulent soil mix and soil ingredients are great! It’s like nothing I’ve ever used before, and I really love the way it looks in my containers. 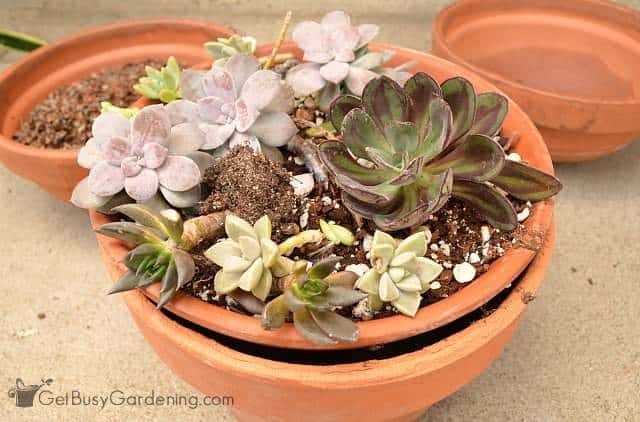 It was also very easy to work with, and potting up my succulents in the gritty succulent soil really wasn’t any different than if I had used another type of potting soil. Another thing I really like about Bonsai Jack is that all of their soil products are naturally organic, with the exception of the pine bark. But don’t worry, the pine bark and products containing pine bark now have an organic option. Bonsai Jack will steam them instead of chemically treating it at the customers request. Where Can You Buy Bonsai Jack’s Products? You can find all of these products and more for sale on Bonsai Jack’s website. You can also find Bonsai Jack products for sale on Amazon. 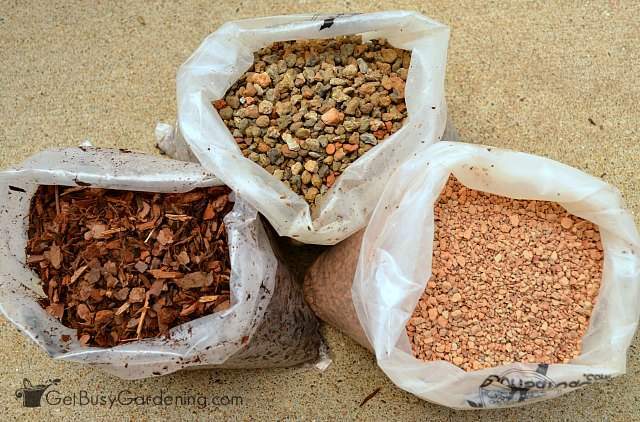 What type of succulent soil do you use for growing succulent plants? Do you have a DIY mix that’s your favorite? This may be a dumb question but do I mix anything with Bonsai Jacks mix or just use it alone? 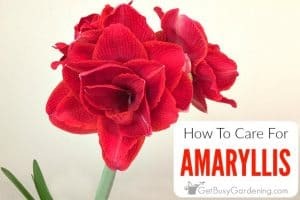 I’m just starting out & have ordered some mixed succulent cuttings from Amazon. Can I use the Bonsai Jacks mix to grow these or should they start off in something more wet? This is probably silly. 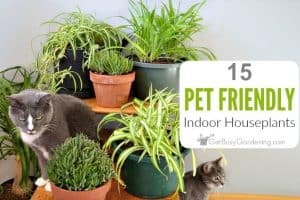 The gritty mix is expensive, do you recommend something else to fill the bottom of the planter and then the gritty mix where the plants are? I use small gravel in the bottom of the pot to keep the soil from packing and plugging the drain hole. I put about an inch or two depending on the size of the pot. It works great and lets the excess water drain more easily. I do that with succulents and ordinary flowering plants. Just make sure the gravel is clean so you don’t introduce any nasties into the mix. I heard somewhere that you have to use plant food with gritty soil mix since there aren’t any nutrients in it like with regular potting soil. 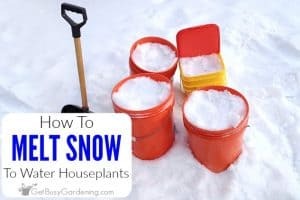 Is this true or can I just use the bonsai jack gritty mix with my succulents and water them with plain water? Also, I just repotted some of my succulents and cacti with the bonsai jack gritty mix I got off amazon, and I found it hard to plant them and get the roots into the mix because it wasn’t as “squishy” and moldable as moist potting soil. Any advice on how to get the plants deeper into the mix? I am pretty sure all the roots are covered by the mix but I’m nervous they aren’t deep down enough, if you get what I mean haha I don’t know if I explained that right..
Succulent plants aren’t heavy feeders, and really don’t need to be fertilized. Of course, just like any other plant, they will benefit from being fertilized. But they thrive in gritty, non-organic soil. I know what you mean about the soil being different, LOL! If the roots are covered with soil, and the plants are standing up fine on their own, then I think you’re good to go. 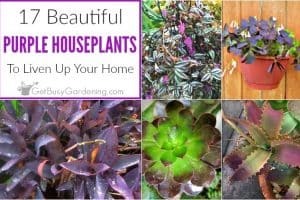 You could try removing some of the gritty mix to the depth you want, then holding the plant in place and filling in the succulent mix around the plant to plant it deeper. I just repotted several pots with The Bonsai Jack succulent mix. I would like to know how you know when to water since the soil is so gritty it is hard to tell. Succulent plants start to soften up a bit when they need more water. So, one sure way to tell is to gently squeeze the leaves every few weeks. If the leaves are firm, then they’re good to go. Once the leaves start to soften up, then it’s time to water them. I tried this mix because multiple blogs raved about it. The only succulents it hasn’t killed, or started to, are my cactus, a tiger tooth aloe and a Bears paw. I have two bear paws actually, One in cactus soil amended with extra sand and perlite and the other in bonsai Jack gritty mix. The one in soil is flourishing, even in the winter! (Indoor under grow lights) The other is definitely pretty stagnant. I had a beautiful ghost plant and an Echeveria that apparently hated it. I’m so bummed. Stuff wasn’t cheap either. I’m sure it’s great for some and maybe not for others but I don’t know how to distinguish which ones would do best in all Gritty vs another mix.